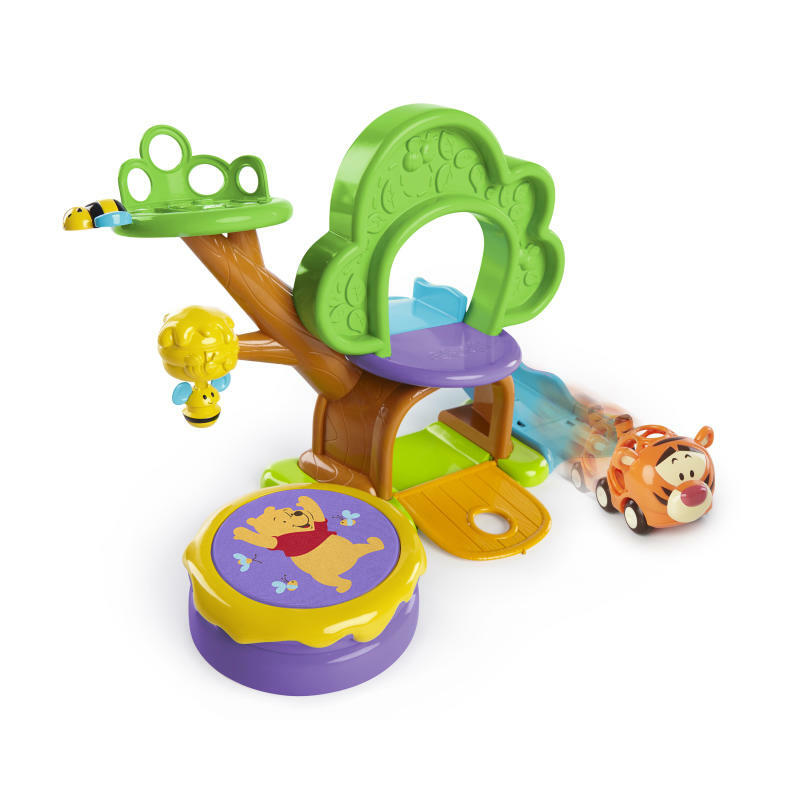 Bounce, trounce, flounce and pounce around Winnie the Pooh’s magical Treehouse Playset — with Tigger, too! Your little Piglet will love to discover all the fun this activity center has to offer. Drop Tigger from the tree branch platform and watch him bounce off the trampoline bouncepad. Race him down the slide, speed through the treehouse door, or just hang from the honey-filled beehive. You can bring more magic to baby’s playtime with other Go Gripper friends and playmats. Baby’s smile during playtime is sure to be sweeter than Pooh Bear’s favorite honey pot. Dimension (in) 13" x 16" x 10.75"